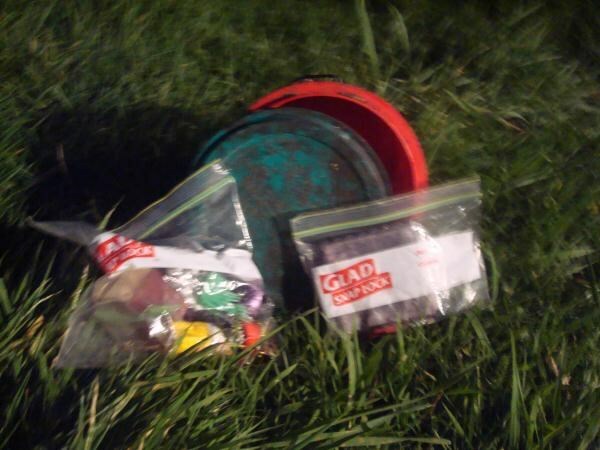 This cache has now been adopted by Skeetinnz from Glutnix. I am the 3rd person to help maintain this cache. The area has important to myself and my wife as her grandfather use to owe this land. Old log book please do not write in this as it is wet. It also has all the swappables that were in the cache on the 25/09/10 when I changed containers. The easiest turn-off from State Highway 1 is at Otaki Gorge Road, just south of the State Highway 1 bridge over the Otaki River. The last 5km of the Otaki Gorge Road is unsealed, narrow and windy – please drive carefully. You will cross over a concrete ford before you get to the cache. 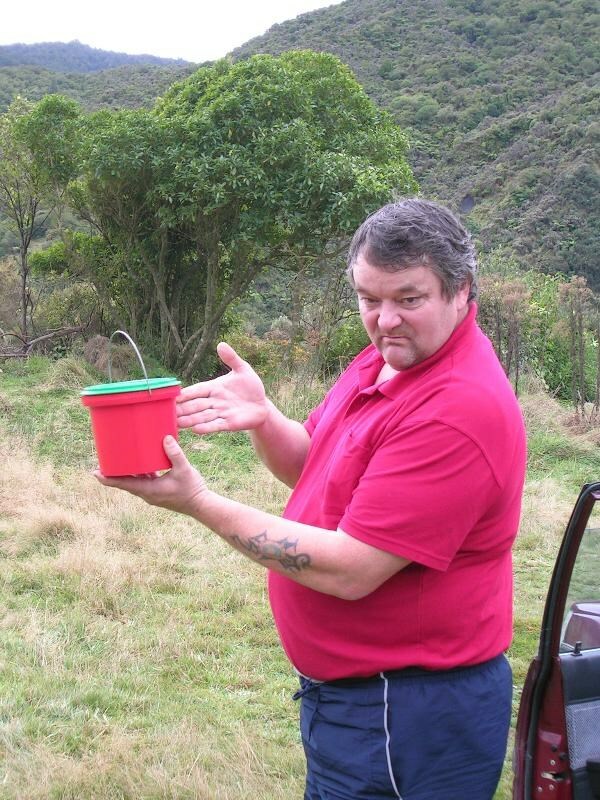 If you continue up the road past the cache, you will arrive at Otaki Forks. 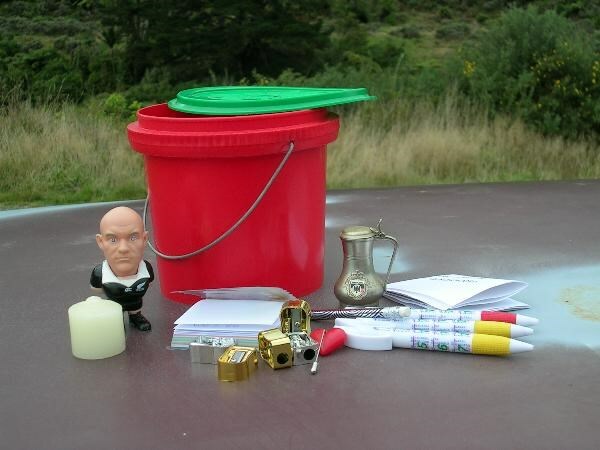 The Second cache container was: Cookie Time bucket, red with a green lid. NOW there is a third container which I skeetinnz have put in due to the cookie time bucket being broken and the contents were wet: a large camo screw top jar. Irel pybfr gb obhyqre jvgu vaqragngvba ba gbc. "AJ"bs obhyqre haqre ohfu pbirerq ol ebpxf.